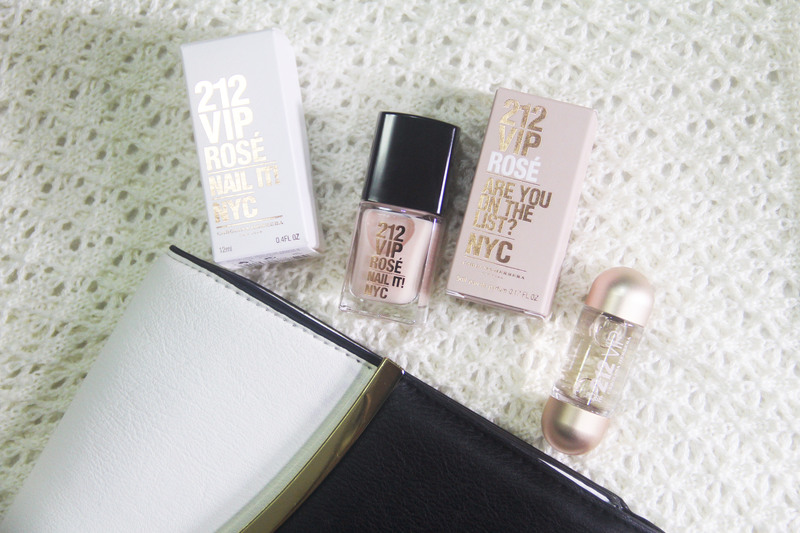 Look what came in the mail yesterday -- the new fragrance of Caroline Herrera for 2014, the 212 VIP Rosé, together with a bottle of nail polish! Upon opening the perfume container, I was immediately entranced by the scent. It's the type of perfume that I would wear to special occasions. It has a mild scent, just the way I like it! You see, I'm allergic to strong smelling perfumes so I'm really picky when it comes to scents. Once, during an exam, I even asked to be transferred to another seat because my nose was becoming irritated by the perfume my seatmate was wearing. Lol. The adorable packaging is definitely a big plus! Champagne Rosé accord: Champagne rosé takes pride of place among the top notes. Like a giggle, pink bubbles announce the festive, carefree tone of the fragrance. Fresh and very fruity. 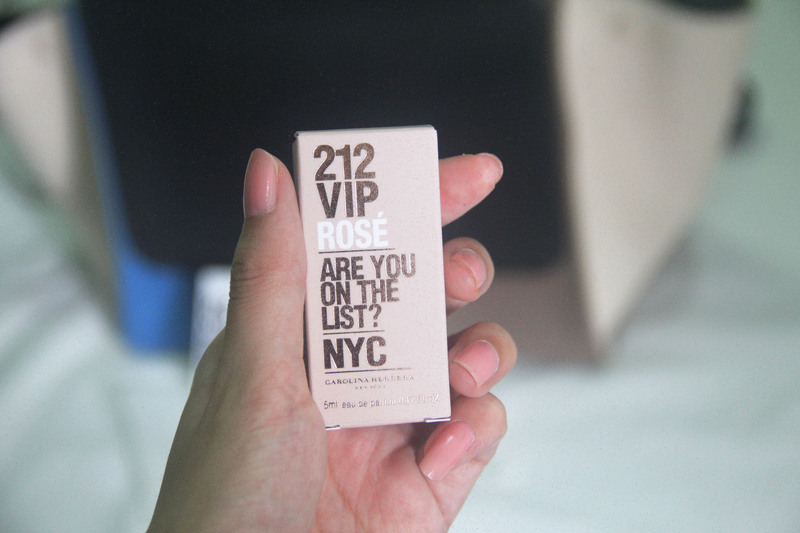 Peach Flower accord: At the heart of 212 VIP Rosé, we find peach blossom. These flowers, with their velvety fruit, add delicacy and tenderness to the fragrance. The perfect embodiment of femininity. Queen Wood accord: Finally, and as the key base note, we have Queen Wood. Queen Wood is an addictive, elegant, but subtle woody chord that provides the fragrance with a large dose of sensuality. 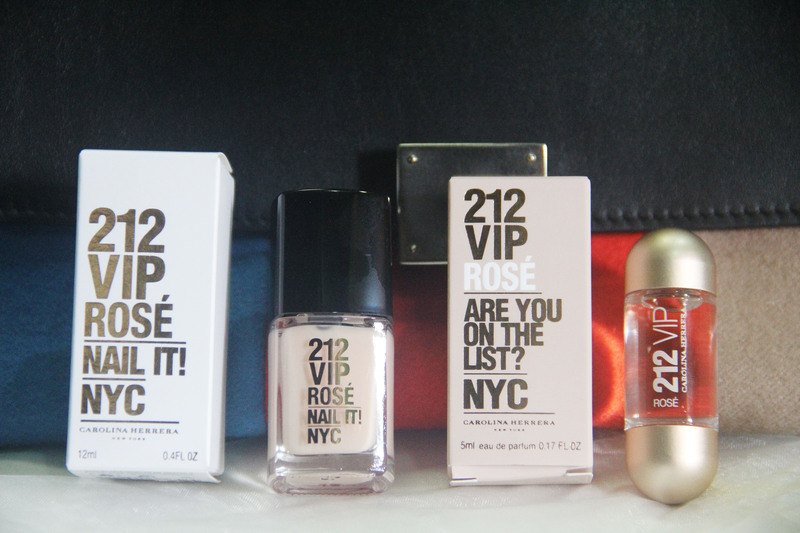 212 VIP Rosé comes in 80ml (Php 5,700), 50ml (Php 4,400), and 30ml (Php 3,250) sizes and is available in select department stores. Thanks to Prestige Brands Inc. and Stratworks for sending over the products! 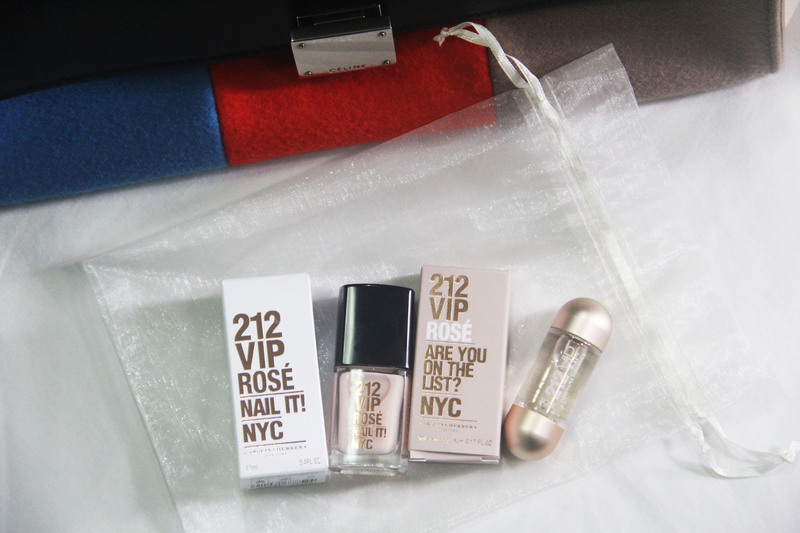 I haven't tried the nail polish yet, but when I do, I'll be posting a photo on my Instagram (@heyitsalyssayu).